Traditional style elements were used in the creation of the new Pre-Fall Collection, whereby the characteristic design of the Savona bags has been emerged. 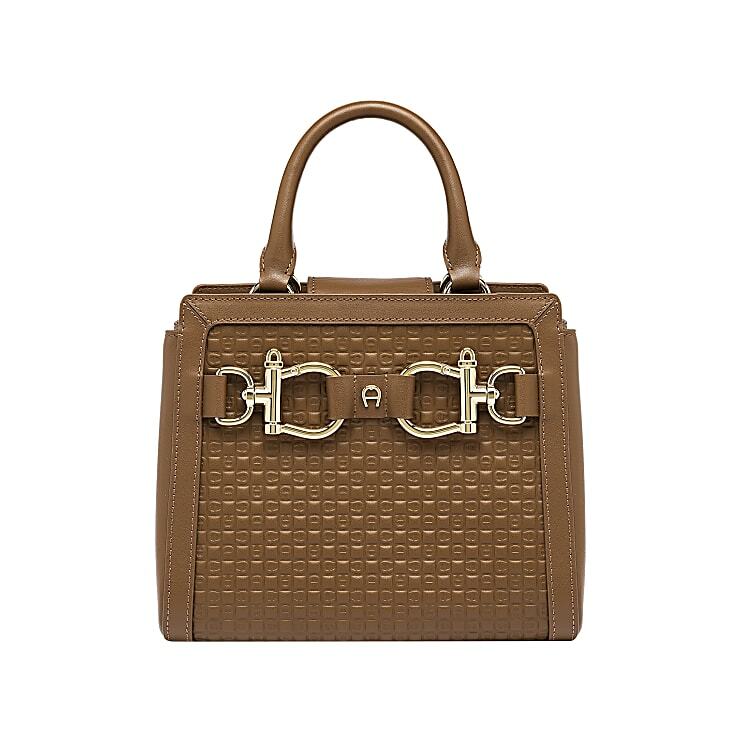 This handbag has a completely new embossed pattern with logo, which comes to full attention in the colours of the season. 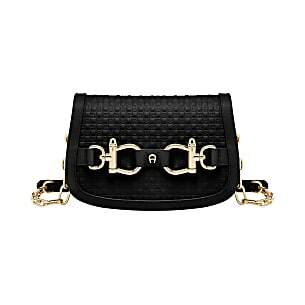 The two shackles on the front of the leather bag are the centre of attraction. 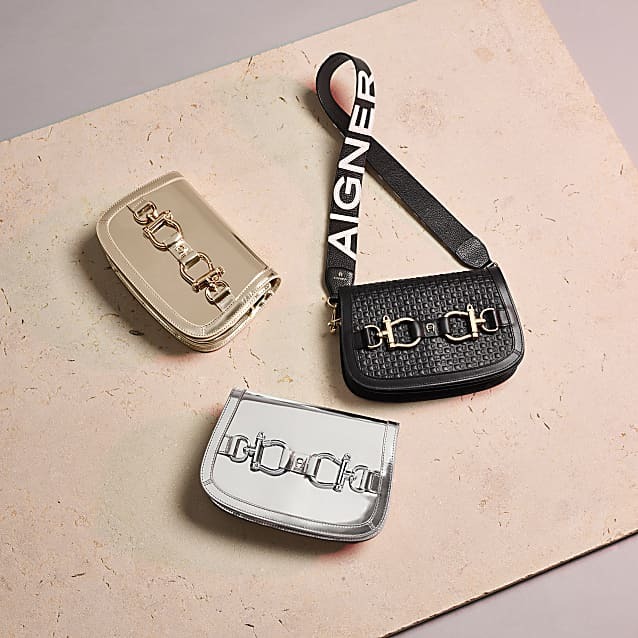 They stand for the well-known design language of AIGNER and are linked to the popular equestrian sport of the brand remembrance. The leather frame with the open manufactured edges represents the shape of these handbags from this collection. An additional strap offers the possibility to wear the handbag crossbody and can also be adjusted to the needed length.